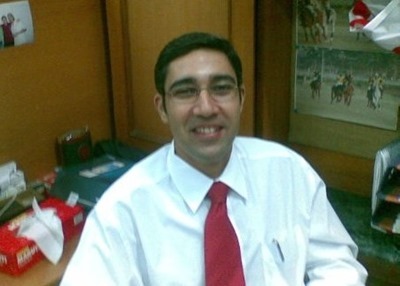 Rahul Dwarkadas, who had resigned from Wadia Ghandy’s partnership on 4 March, will be joining the Mumbai-based firm of ex-AZB & Partners CEO Abhijit Joshi, Veritas Legal. Dwarkadas was promoted to the partnership at Wadia Ghandy in 2011 has practiced litigation across various fora for around 12 years. Abhijit Joshi stated: “We are extremely pleased to welcome Rahul and his team. The firm gains significantly with Rahul's arrival and together we look to a bright future." Veritas Legal will also shift to a new office in Forbes Building, near Bombay Gymkhana, with effect from 1 May 2015. The firm was established in November 2014 by Abhijit Joshi, former CEO and Senior Partner of AZB & Partners, and was joined by former AZB partner Nandish Vyas on February 1. Joshi said that Veritas Legal had successfully concluded three private equity transactions, with it currently acting for Evonik, a German specialty chemicals company, to acquire Monarch Catalyst, opposite J Sagar Associates (JSA), amongst other matters. This is a pretty decent catch by Joshi. Coupled with his own reputation in the market, this move may well ensure the future of Veritas. Incidentally, Abhijit may be one the rare managing partners in a firm, whom almost no one badmouths usually! Abhijit has not been managing partner of anything for very long (he certainly was not at AZB). Give it a little while. I have faith in the trolling abilities of all of us who comment on LI. Is Rahuls star Nevile Mukherjee going along with him? Is king joining them too? Lets not call Veritas merely Abhijit's firm, a lot of other people also have their future riding on it. Interesting to know that Veritas now has 15 odd lawyers. Who else joined. Good Luck Son ! Make me proud and show DJM what you got. I am always there for you. Good Luck to Janvi too. For the avoidance of doubt, we've confirmed that the above comment by JD was not made by Rahul Dwarkadas' father Janak. was there a need to confirm?!? LOL . Janak Dwarkadas has no time for reading LI, he's the most expensive senior counsel at Bombay HC !!! They asked him, why Veritas Legal? And killing my partners is illegal! Kian is this the Forbes building which houses the Dutch consulate ? Isn't this the same place where Shardul is taking office space?? A mere coincidence or is Verifas keeping the seat warm? That building has enough office space for everyone. Not bad for someone who was a logistics manager at azb..
All the best to Veritas Legal - This market desperately needed an alternate platform - beyond the azb,amss,kco,jsa, trilegal of the world- facilitating coming together of high quality individuals to build a true partnership. BMR Legal is one such emerging platform. I hope Abhijit and his Partners will be able to build an institution. My best wishes to Abhijit, Nandish, Rahul and all future partners of the firm! Last heard, Phoenix Mumbai wasn't doing too well and most of its original members have quit for lack of growth....do platinum, snr and phoenix have litigation teams ?! There is more than enough room for everyone and competition is good for the legal market place. Phoenix Litigation is doing ok in Mumbai last i heard! All this churn. Why can indians not team up and work as mega firms like u have in the uk or us? Why this desperate need to establish one's jagirdari? Why are all these partners leaving Wadia Ghandy? What is the reason? This is a genuine question!! They're all jealous of his success like you know ki competence.